Constantly evolving, and with far-reaching implications, European Union policy-making is of central importance to the politics of the European Union. From defining the processes, institutions and modes through which policy-making operates, the text moves on to situate individual policies within these modes, detail their content, and analyse how they are implemented, navigating policy in all its complexities. The first part of the text examines processes, institutions, and the theoretical and analytical underpinnings of policy-making, while the second part considers a wide range of policy areas, from economics to the environment, and security to the single market. Throughout the text, theoretical approaches sit side by side with the reality of key events in the EU, including enlargement, the ratification of the Lisbon Treaty, and the financial crisis and resulting eurozone crisis, exploring what determines how policies are made and implemented. In the final part, the editors consider trends in EU policy-making and look at the challenges facing the EU. Exploring the link between the modes and mechanisms of EU policy-making and its implementation at national level, Policy-Making in the Europe Union helps students to engage with the key issues related to policy. Clear pedagogy helps students to understand difficult terms and abbreviations, looking in detail at the technicalities involved in these processes. 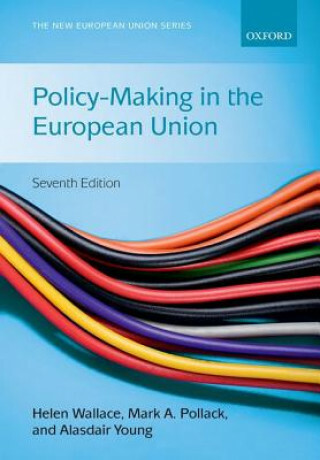 Written by experts, for students and scholars alike, this is the most authoritative and in-depth guide to policy in the European Union.